Once in every two or three years, a new shark movie comes along. 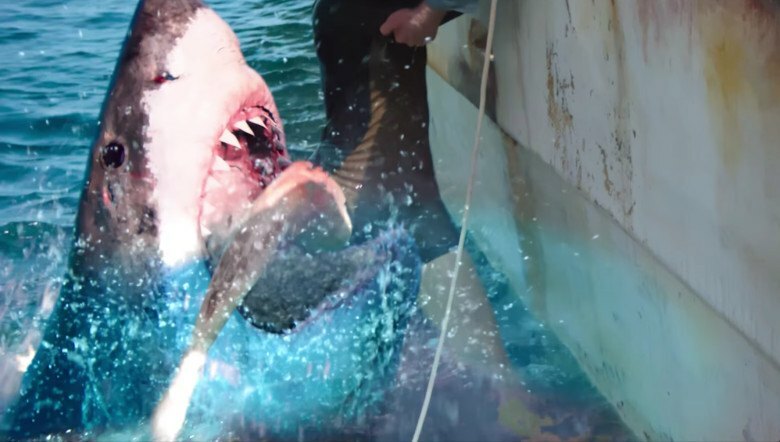 Now that the whole idea behind typical shark movies is getting outdated, filmmakers are trying to experiment with something new. This whole “trying out something new” worked really well for ‘The Shallows’ and it somehow managed to find its way at the bottom of the shark movies hall of fame. 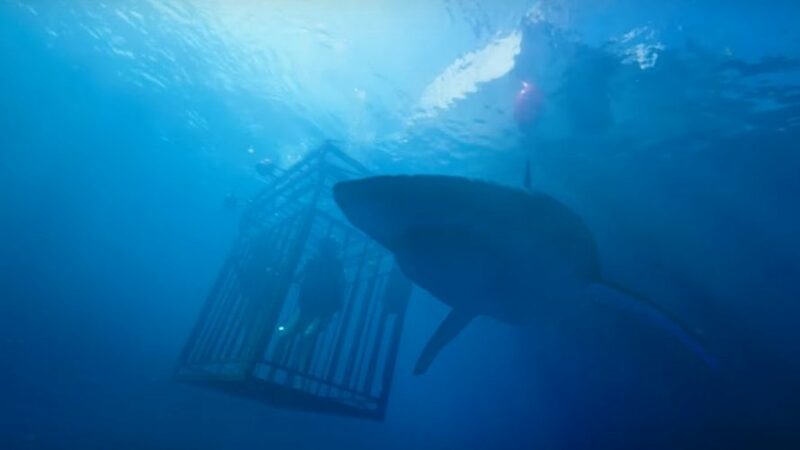 But the same notion may not have worked out too well for ’47 Meters Down’ as it is being highly criticized for its lack of simplicity and bizarre twists that make the whole film a very sadistic and depressing waste of time. The film may have failed at pleasing the audience but it still gained enough attention for makers to decide to release a sequel. The film received a lot of mixed reviews and both ends of it were very extreme. People either loved the movie to an extent they wanted to rewatch it or they hated it from the bottom of their hearts, there is no in between. But regardless of everything, the film was box office success and for those who are still confused about what really happened in the end and are not able to judge the movie because of their lack of understanding, this explainer is for you. 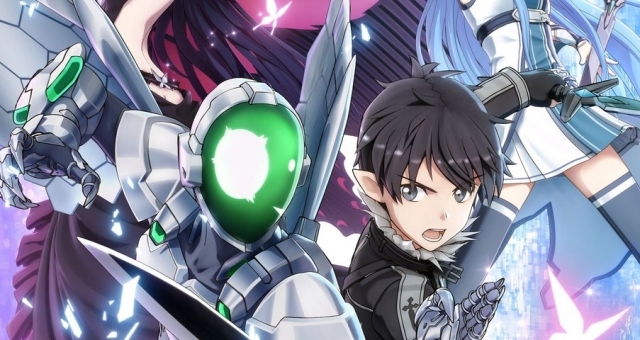 But before we get down to explaining some theories about the ending, let’s first go through the plot all over again, so that we can rewind from time to time to understand things better. Lisa and Kate are two sisters who go on a vacation to Mexico. Lisa is a control freak and according to her ex-boyfriend, she’s boring, but her sister is the complete opposite and is an absolute party animal who’s always looking for ways to have fun. During their vacation, Kate wakes up in the middle of the night to find Lisa sitting outside in the balcony crying over her ex. Kate who had no clue they had broken up, starts to console her. Lisa explains it to her that the only reason why she agreed to go on this trip was to somehow convince her boyfriend that she is “fun”. Kate takes Lisa’s post-breakup low self-esteem for granted and drags her into a party where they meet two Mexican guys. As the night comes to an end, the two young men initiate the idea of shark cage diving. Hesitant at first, the two girls say no but Kate being the adventurer that she is, finally agrees. She again takes Lisa’s insecurities for granted and convinces her to go for the dive with her. The next morning, they meet the boys again, who introduce them to Taylor, the captain of an old shady-looking boat that roofs a rusty shark cage. The captain confirms with the girls if they have done scuba diving before; both of them say yes but the truth was that only Kate had some experience with scuba diving. The boys decide to go in first and gear up for the dive. They get inside the shark cage and slowly drift down as the machine that holds the cage creaks with rust. The boys return after a few minutes, now leaving the cage empty for the girls. Lisa panics but Kate again gets inside her head and pulls the right strings. The two girls gear up for the dive and Taylor gives them a few gentle reminders about the meter that indicates their oxygen levels. They enter the cave and Taylor slowly releases it down into the shark-infested water. At first, Kate is gripped with panic, but she soon calms down and actually starts having a good time. After a while, once they’re done with their thrilling experience, they ask Taylor to pull them up but that’s when they realize they screwed up. The line of the cage breaks and sends the girls 47 meters down to the base of the ocean. Lisa being the nervous wreck starts panicking and Kate somehow tries to calm her down. They realize that they’re too far below to receive radio signals from Taylor’s boat, so Kate decides to swim up a little to get some signal so that they can ask what they’re supposed to do next. By this time, Lisa begins to get really annoying and nervous and starts panicking like crazy. But Kate, now determined to get out, swims up and does get in touch with Taylor who tells her that he will be sending Javier down there with another cable. He also warns her to stay inside the cage because of the sharks that lurk in that water. Kate swims back to the cage and tells Lisa that they will be there soon to help them out. But soon Kate seems to be running really low on oxygen with no sign of the boys anywhere. They even hear the boat sailing away while they are down there (point to be noted). But then they suddenly see a glowing flashlight at a distance, which they assume is Javier coming down to rescue them. Lisa decides to swim up to Javier to guide him towards the cage. As she swims towards the flashlight, she is suddenly attacked by a shark but somehow manages to save herself by hiding in a small underwater cave. Lisa swims towards the light again but upon reaching it, finds no one there. Javier suddenly appears out of nowhere and as soon as she sees him, a white shark grabs him between its teeth and takes him away. Lisa finds a part of Javier’s body and finds the cable for their cage attached to his body. She takes the cable and swims back to the cage to attach the new cable to it. She then swims up laterally to avoid getting “the bends” and connects with Taylor again to ask him to pull them up. Taylor starts pulling them up again and hope is almost restored when suddenly this cable meets the same fate of the previous one and breaks just 20 meters below the water’s surface. The girls drop deep down to the bottom again but this time, as soon as the cage hits the ground, Lisa’s leg gets trapped underneath it. By this time, both of their oxygen tanks start reaching an absolute low and Kate decides to swim back up to talk to Taylor and ask him for more oxygen. He warns her that he will be dropping oxygen tanks but that will increase their chances of getting “nitrogen narcosis.” So the two girls will now have to look out for any signs of hallucinations that any one of them might show. The oxygen tanks are dropped a little ahead of the cage and Kate decides to get to them. As soon as she reaches the tanks, a shark swims by her, so she decides to quickly make a go towards the cage, but as soon as she reaches the cage, she is attacked by the shark and one of the tanks breaks free from her, landing near the cage. Lisa, now alone and trapped, starts running out of oxygen, so she tries to bring the oxygen tank closer to her using a spear gun. But she accidentally fires the gun on her own hand, smearing out blood in the water. She eventually does manage to get the tank using the spear of the gun and that’s when she hears Kate on the radio, who is terribly injured and needs helps. So now Lisa does something she could’ve done before and frees her trapped leg from underneath the cage. Lisa finds Kate and decides to swim to the surface with her (this is another thing they could’ve done before). She tells this to Taylor who asks them to swim up slowly or they could get “the bends”. Lisa and Kate start swimming up slowly and keep the sharks away from them using flares that were attached to their oxygen tanks. Halfway up, they stop to decompress so that they avoid getting “the bends”. But during this decompression, they look around and find many sharks circling them. As soon as their decompression gets over, they sprint to the surface and are somehow rescued after being attacked a few more times on the surface as well. But they’re happy because they lived. That’s when Kate looks at the wound on her hand that was caused by the spear gun. The blood from the wound smears into thin air just like it did underwater and she soon finds herself trapped under the cage again, 47 meters below. Suddenly, a few coast guard divers appear and rescue her. It looks like Lisa was the only one who survived. A rather sadistic ending for a character who did not even do anything bad throughout the movie, apart from being a nervous wreck. Now, what really happened during the last few minutes of the films? What are “the bends”? Did she make it to the top by the end of the movie? Was Kate still alive? How did Lisa get back down there even after reaching the boat safely with her sister? So what are “the bends” we’ve been talking about all this while? Bends, also known as decompression sickness, is the formation of nitrogen bubbles in oxygen tanks of divers as the pressure inside the water body changes. The more nitrogen is formed in the tank, the more nitrogen the diver tends to breathe in along with oxygen. After this coagulation of nitrogen in the blood, this nitrogen tends to release as soon as the diver reaches the surface of the water and causes the nerves to stretch or bend and disrupt the blood flow. So this is exactly the reason why the girls were asked to slowly move to the surface so that the nitrogen build-up slows down and when they reach the surface, the nitrogen does not pop out of their bodies like gas from a soda can. A sudden release of this nitrogen can even prove to be fatal especially if those nitrogen bubbles have reached your brain. The film shows a fair depiction of “the bends” but contradicts everything it shows at the end when after an insufficient decompression, Taylor asks them to swim up as fast as they can. The whole movie revolves around the concept of decompression sickness and in the end, they just blow that away. Why hype it so much when you are going to do it anyway? The movie has also shown a fair depiction of how the girls rapidly fall to the bottom of the sea and one of them experiences a nose bleed because of the sudden pressure drop. Their blood vessels don’t pop under such drastic shifts of pressure because of their full face air masks that manage to maintain the interior pressure regulated. One thing that goes totally overboard in the movie is the amount of time they’re able to survive with those oxygen tanks because even in an ideal situation, their tanks wouldn’t last for more than 15 minutes and their situation is surely not ideal. They go through immense panicky moments, they perform feats of strength and even fight off sharks from time to time which makes it impossible for them to survive long enough from the first oxygen tank itself. Getting to the nitrogen narcosis, also known as the martini effect, is also a real thing. Taylor warns them that using a second oxygen tank will increase their chances of getting affected by nitrogen narcosis, which could make them hallucinate. While narcosis does really occur at such depths, the film goes way overboard with its symptoms. Nitrogen narcosis can potentially make a person hallucinate, but not to an extent where she starts dreaming about an alternate reality where she is being rescued. And if narcosis was an actual issue at that depth, which it surely was, it would’ve kicked in long before the second tank (we’ll get back to this later). So if you sum all these up together, you will realize that the girls would probably be dead even before the sharks could get them and the movie comes closer to being a science fiction film than a real horror film. So if you just assume that it’s sci-fi, you’ll be able to get through it and actually enjoy it. Is 47 Meters Down based on true story? The short answer is no. With such unbelievable twists and turns, the film could only have been a work of fiction. The movie surely borrows a lot from past films, especially those made by Steven Spielberg and James Cameron, but there isn’t much of a real story behind the film. On the contrary, it can be argued that there are elements in the film that are scientifically questionable. Now let’s forget about the science of the movie for a while and break down the ending. 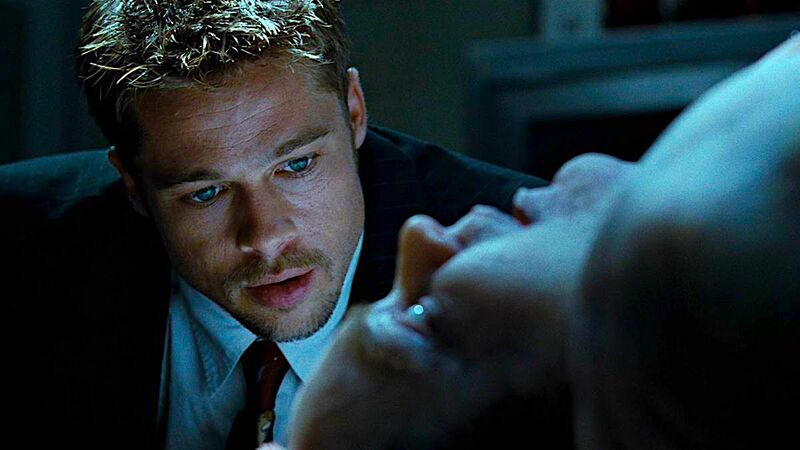 The ending of a movie can make or break it and in this case, we cannot really tell what it did. It all just comes down to your own personal opinion. The first theory that explains the ending is the most obvious one that most people would have interpreted when they first watched it. Lisa and Kate swim up trying to avoid “the bends” and the sharks, and they somehow make it back to the boat, but all of this was nothing but Lisa’s hallucination, because the nitrogen narcosis kicked in and she is still stuck under water. But then divers from the coast guard find her down there and finally, she gets rescued and her sister is surely dead by now. But there’s something that really bothers me about the last scene where she is rescued. The whole sadistic scene where she is being rescued while her sister is dead seems very dreamy and unreal. Dramatic music plays in the background while the rescue divers slowly move her to the surface without giving a tinker’s damn about the shark-infested waters and that’s when the credits start rolling without even showing us if she reached the surface or not. This dreamy scene with cheesy music almost gave the impression that Lisa was drifting towards heaven and not a boat. What’s even more strange is that Lisa is still bleeding but the sharks have suddenly disappeared. This could be just another hallucination from ‘the martini effect’. So that gets her back to the bottom of the sea, stuck under the cage and having the time of her life getting high on nitrogen. From the previous theory it’s clear that by the end of the movie, Lisa was hallucinating. Maybe just once or both the times she was rescued, or was she? There is a scene in the film where the boat starts to leave and the girls can hear it underwater. That scene was just for the sake of it, or did it have a darker hidden agenda? As discussed earlier, the effect of nitrogen narcosis would’ve hit the girls much earlier than what the movie portrays. So maybe everything, after they hear the boat leaving, was nothing but a hallucination and that leaves Lisa back at the bottom of the ocean having a great time getting high on nitrogen. The first theory is indeed more plausible but then it downgrades everything else in the movie as a waste of time, making only the ending a little significant. We don’t want to believe we wasted our time watching this, so we’ll just consider both the possibilities. ’47 Meters Down’ is the kind of movie that makes you ask your friends if they liked it or not because you are not sure about it yourself and then you end up forming an opinion on an hour-long discussion about its flaws. The movie has a good concept that gets you curious about what will happen next as it unfolds, but the way it unfolds is not exactly appealing. The film makes subtle attempts to add some emotion or drama to the lives of the characters but it miserably fails at that and eventually portrays a depressing and sadistic ending that leaves you with nothing but an action-packed movie with no story. It’s depressing to know that the first quarter of the movie where the filmmakers tried to develop the characters was a waste and all of this was for nothing but a twist at the end. This is the reason why ‘The Shallows’ turned out to be a better shark movie because people were able to connect more with the protagonist. The twist at the end is great but it fails to make up for the horrible script and characters. We hope that the sequel will be more “complete” than this one and will have something more surprising to offer.